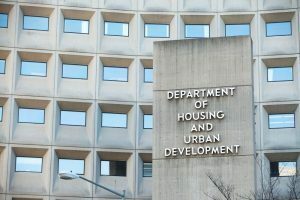 The Federal Housing Administration (FHA) released its 2018 Annual Report to Congress on Thursday. The report, which highlights the economic condition of the agency's Mutual Mortgage Insurance Fund (MMI Fund) indicated that the fund had a total economic net worth of $34.8 billion, an increase of $8 billion over the previous year, and a capital reserve ratio that remained above the statutory minimum of 2 percent for the fourth straight year. The report said that its economic net worth comprised of total capital resources of $49.24 billion and a negative cash flow net present value (NPV) of -$14.38 billion. "The financial health of FHA’s single-family insurance fund is sound," said U.S. Housing and Urban Development Secretary Ben Carson. "FHA is in good hands, guarding against excessive risks, protecting the American taxpayer, and remaining true to our core mission to facilitate safe and affordable mortgage options for qualified borrowers." The MMI Fund supports FHA's single-family mortgage insurance programs and includes all forward mortgage purchase as well as its Home Equity Conversion Mortgage (HECM) and reverse mortgage program. FHA indicated in its report that while its forward mortgages had seen an increase during the year, its reverse mortgage portfolio "continues to decline, representing a continuing economic drain on the MMI Fund from books of business in 2018 and earlier." "As we look to the future, FHA must continue to seek the right balance between facilitating access to mortgage credit and managing risk," said FHA Commissioner Brian Montgomery. "Our number one mission is to make certain FHA remains a stable and reliable resource for first-time and minority homebuyers and other underserved borrowers." Indicating the need for balance, the report revealed that the MMI Fund's forward mortgage portfolio’s stand-alone capital ratio was 3.93 percent and had an economic net worth of $46.81 billion. By contrast, the HECM portfolio had a stand-alone capital ratio of negative 18.83 percent and an economic net worth of negative $13.63 billion. "We need to continue addressing the volatility and financial performance of the HECM portfolio," Montgomery said. Additionally, the report indicated that FHA endorsed over one million forward mortgages in 2018 which included 776,824 purchase loans. Of these, 641,921 borrowers were first-time homebuyers. Minority homebuyers accounted for 33.8 percent of all FHA forward purchase loans. Looking ahead, Montgomery said that while the forward portfolio was performing well, certain risk trends had to be monitored and addressed, "including the exponential rise in cash-out refinance transactions, a continuing increase in the average FHA-insured borrower’s debt-to-income ratio, and declining average credit scores throughout our book." In 2018, the report indicated that the average borrower's credit score declined slightly to 670 from 676 in 2017.